The SJHL's La Ronge Ice Wolves have hired Kevin Kaminski as their new Head Coach & General Manager. The hire was originally reported here two weeks ago. 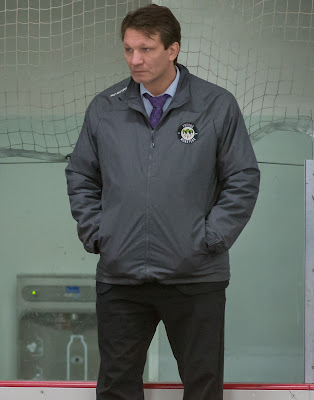 "After three exciting and memorable seasons at the helm of the Fresno Monsters, Kevin 'Killer' Kaminski has accepted a position as Head Coach of the La Ronge Ice Wolves of the Saskatchewan Junior Hockey League. This decision did not come easily for Killer. It will allow him the opportunity to return home and be close to his family, where he has not been in many years since starting his professional career. The Fresno Monsters want to wish Coach Kaminski all the best in this move in his professional life. We will be forever grateful for your time here and you will forever be a part of the Fresno Monsters family and you will be sorely missed. In three short years, you have become an icon in the history of the Fresno Monsters and the hockey community here in Fresno." The 50-year old Kaminski is a product of Churchbridge, SK. He spent five seasons with the WHL's Saskatoon Blades and was a 3rd round pick of the Minnesota North Stars in the 1987 NHL Entry Draft. Kaminski played 139 NHL games, recording 13 points and 528 PIM. He's been coaching since 2000 with stints in the AHL (Cincinnati), WCHL (Long Beach), ECHL (Long Beach), UHL (Missouri), CHL (Youngstown, Mississippi), SPHL (Louisiana) and most recently the WSHL.